JUNEAU — Alaska Gov. Mike Dunleavy is proposing broad cuts to health care, education and many other state services in order to pay a larger Permanent Fund dividend without new taxes. “This budget is going to impact all Alaskans. It’s too massive not to,” the governor said Wednesday morning in a televised news conference from Juneau. The governor’s proposal has already drawn a storm of comment, with the promise of even more as Alaskans learn its details. The state released a trove of documents detailing his proposal on the state Office of Management and Budget’s website. According to OMB figures, the state would spend $1.8 billion less in the fiscal year that begins July 1 under Dunleavy’s proposal. That doesn’t include the Permanent Fund dividend, which Dunleavy has proposed increasing. If dividend spending is included, the cut is about $900 million. The governor has said the state faces a $1.6 billion deficit; Wednesday’s cuts are larger than that figure because the state is forgoing some federal grants that require a certain amount of state spending. The governor’s proposal must be vetted and approved by the Alaska House and the Alaska Senate. That process is expected to take months, and the timeline may be lengthened by the House’s ongoing inability to elect a leader, a prerequisite to officially consider legislation. “We know this is just the beginning. This is the beginning of the journey for this budget,” Dunleavy said. About 625 full-time state positions will be cut, OMB director Donna Arduin said, and that figure rises to more than 700 if part-time positions are included. 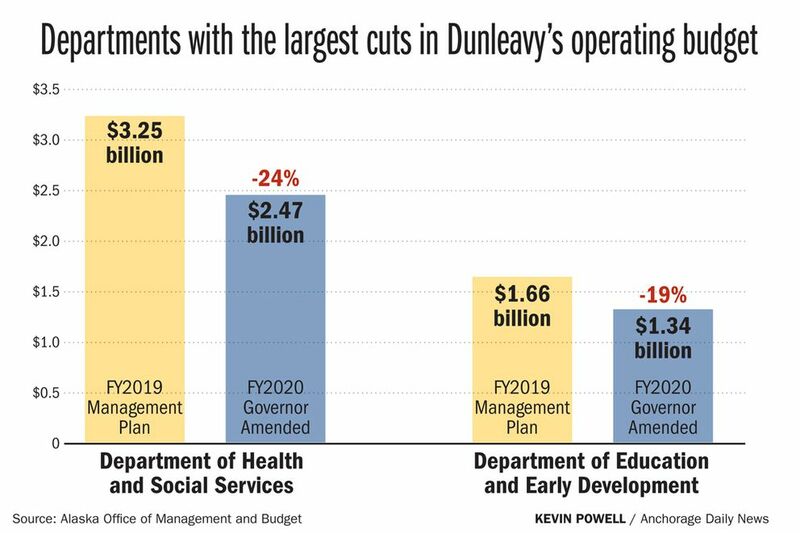 The Department of Education and Early Development and the Department of Health and Social Services, the most costly state agencies, would receive the biggest cuts by dollar value. The Department of Education would be cut from $1.66 billion to $1.34 billion, according to OMB figures. Funding for the foundation formula, which pays school districts for each student who attends, would drop from $1.2 billion to $942 million. The governor would also reverse a planned $30 million increase to the foundation formula that lawmakers approved last year. Health and Social Services would be cut from $3.25 billion this year to $2.47 billion, according to OMB figures. One of the biggest duties of Health and Social Services is overseeing the federal-state Medicaid program, which provides health care to more than 210,000 Alaskans, according to the latest figures from the state. Of those, almost 48,000 are covered by Medicaid expansion under an executive order signed by former Gov. Bill Walker. 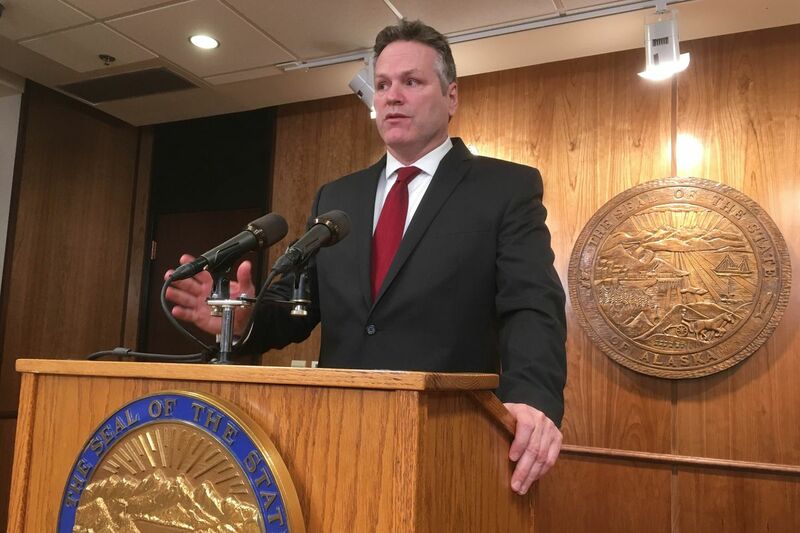 Dunleavy will not reverse that order at this time, he said Wednesday, but the state will work with the federal Centers for Medicare and Medicaid Services to adjust benefits, he and Arduin said. Medicaid spending, which stands at $2.27 billion, would be cut by $714 million, according to OMB figures. About one-third of that cut is state money; the remainder consists of federal dollars the state will forgo, according to OMB’s analysis. “Gov. 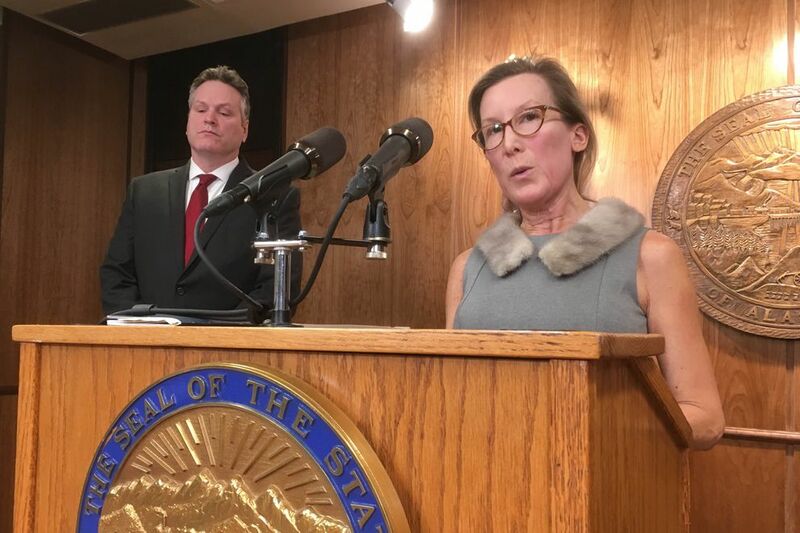 Dunleavy’s proposed budget, if enacted, would destabilize Alaska’s health care system, eliminate access to health care for tens of thousands of Alaskans, and make Alaska less safe and less secure,” said Becky Hultberg, president and CEO of the Alaska State Hospital and Nursing Home Association, in a prepared statement. State support for the University of Alaska would be cut 41 percent, the greatest proportion of any state agency. Within the Department of Commerce, where the state division of economic development is scheduled to be eliminated, a division-wide email went out, offering mental health counseling. Dunleavy said the cuts are demanded because Alaska is spending more than it is earning in revenue. The Alaska Chamber of Commerce said in a prepared statement that it supports the governor’s budget. “The Alaska Chamber applauds Gov. Dunleavy for proposing a spending plan that matches current revenues. This action will surely prompt necessary and critical conversations that must occur across Alaska in order to achieve a durable and sustainable fiscal plan,” it said. The governor entered office with a significant deficit, one exacerbated by his pledge to increase spending on the Permanent Fund dividend. With the governor opposed to tax increases and reluctant to spend additional money from state savings accounts, he was left with two choices: reduce services or reduce the dividend. He chose to reduce services. The Alaska Senate’s six Democrats sent a joint statement saying Dunleavy’s proposal isn’t a serious one. “This is unacceptable, and quite frankly a dereliction of his constitutional duties,” Senate Minority Leader Tom Begich, D-Anchorage, said about the budget in prepared remarks. Sen. Bill Wielechowski, D-Anchorage, criticized the governor for cutting services while leaving the oil and gas industry unaffected. Wielechowski has suggested the state could save up to $1.2 billion per year by eliminating a certain type of tax credit received by oil producers. “Gov. Dunleavy is declaring war on seniors, kids, and the most vulnerable among us while holding harmless the most profitable companies in the world,” Wielechowski said in prepared remarks. The Republican co-chairs of the Senate Finance Committee said in prepared remarks that they need time to examine the proposal. “While it is too early to understand all the impacts today, we’re committed to taking the time to fully analyze and thoroughly vet these proposals,” said Sen. Natasha Von Imhof, R-Anchorage, in a prepared statement. Groups and agencies affected by the budget cuts are also expected to spend Wednesday and the next few days examining the governor’s proposal to see how it would affect them. “I think next week, the building will be packed,” said Sen. Bert Stedman, R-Sitka and co-chairman of the Senate Finance Committee.